England will face Papua New Guinea in the semi-final of the Challenge competition on day two of The HSBC World Rugby Women’s Sevens in Sydney, Friday 26 January (KO 10pm GMT live Sky Sports Action and via WorldRugby.org). In their opening fixture against USA, England ran in four tries for a 28-24 win, but went down 12-33 in the game against New Zealand and rounded off day one with a narrow 10-17 loss against Japan. England got their day off to the best possible start after just a minute when a powerful burst and fend from Heather Fisher put her through to score. A second was added after a lovely step from Holly Aitchison saw her break the line and sprint home, but USA scored to make it 14-7. 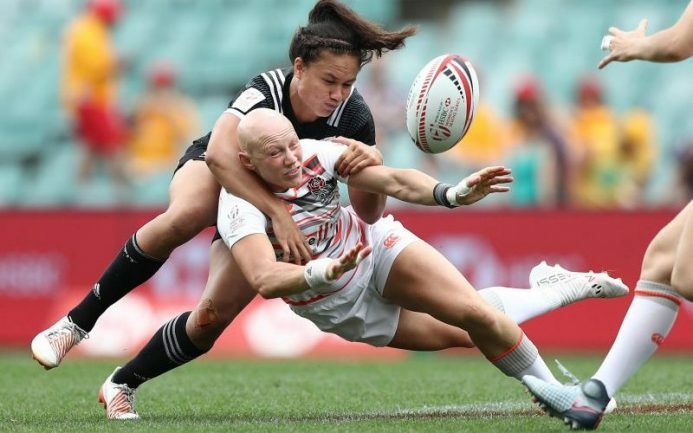 Naya Tapper’s second try for the USA levelled the game at 14 all after half-time, before the introduction Jess Breach changed the game as she made her first World Series appearance since her full-time switch to the sevens programme. She grabbed her first as Aitchison again broke the line with a dummy and the ball was worked to Breach who showed her pace to sprint around the outside and dot under the posts. Her second was from a lofted wide pass by captain Emily Scarratt, and Breach again comfortably outpaced the defenders. Tapper’s got her hat-trick as the clock went dead for USA, but four from four conversions meant England ran out winners. England next faced New Zealand in their second game of the day. The Black Ferns were 14-0 up at half-time, and despite second-half tries from Deborah Fleming and Jess Breach, Portia Woodman’s hat-trick helped the eventual pool winners to a five-try victory. In the third game of the day, Amy Wilson Hardy’s first try of the tournament, after a show of strength by Fisher, kept the opening seven minutes tight but Japan led 14-5 at the break. Saya Suzuki got Japan’s third and despite Lydia Thompson crossing the whitewash, it was a 10-17 defeat as England finished third in the pool. Meanwhile in the opening game of the men’s HSBC Sydney Sevens tournament they secured a 22-10 victory over Spain before they go on to face Papua New Guinea and South Africa in the remaining pool games on Saturday 27 January. Returning from injury for Sydney, Alex Davis scored two tries for England in two minutes of the first half, putting the first points on the scoreboard for Simon Amor’s men. Skipper Tom Mitchell secured the side’s third try before Spain’s Pablo Fontes touched down before the first half whistle was blown, taking the score to 17-5 at the break. Replacing Alex Davis in the second half Ruaridh McConnonchie sprinted 75 metres to the touchline and scored his eighth try of the 2017/18 World Series. Despite some big hitting defence from Amor’s side, Spain got over for a second consolation. 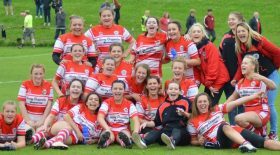 Jess Breach, Abbie Brown, Lydia Thompson, Emily Scarratt (c), Sarah McKenna, Deborah Fleming, Heather Fisher, Emily Scott, Alex Matthews, Megan Jones, Holly Aitchison, Amy Wilson Hardy.